Rediff.com » News » Is Mayawati trying to foil Hazare's UP visit? Is Mayawati trying to foil Hazare's UP visit? 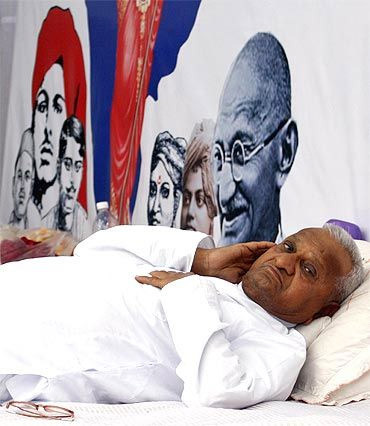 Barely 24 hours after the Lucknow University denied permission for a meeting to be addressed by social activist Anna Hazare on May 1, the state government has introduced measures that may put up impediments in the path of his proposed three-day visit to the state. In a move that has taken everyone by surprise, the state government on Wednesday afternoon issued a government order making the procedure for seeking permission to stage a demonstration or 'dharna' extremely stringent . The state's official spokesman flatly denied that the move was intended to prevent Hazare's proposed visit to Varanasi, Sultanpur and Lucknow from April 29 to May 1. But supporters of Hazare claimed that the local administration had been sitting on their formal request. "The decision was taken in the larger interest of the people, who are often put to much inconvenience on account of road blocks, rail blockades and overcrowding of streets," claimed Principal Home Secretary Fateh Bahadur at a press conference . Asked how the new rule would impact Hazare's programmes in the three cities, he said, "The new order comes into effect from Wednesday." 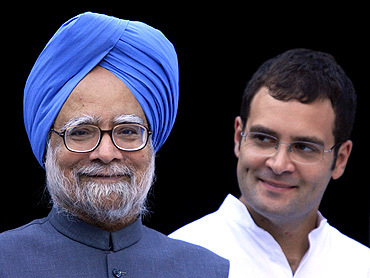 Significantly, Prime Minister Manmohan Singh and Congress General Secretary Rahul Gandhi are also scheduled to address a Congress rally in Banda on April 30. The new procedure to obtain permission to hold rallies or meetings appears to be far more cumbersome than the existing one. It involves procuring no-objection certificates from various authorities and an undertaking from organisers, promising to bear all the costs in case of a loss or damage to public or private property during the rally. "The order would apply to all and sundry including political parties, which would be held as much responsible for loss or damage to property as any private individual or organisation", the home secretary said. He added, "In case of default by the organisers, such costs could be recovered as arrears of land revenue." When queried on the sudden need to introduce such stern guidelines, he said, "We have no intention of curbing the democratic rights of people to agitate or demonstrate, but we had to take the decision in the wake of an order of the country's apex court that had laid down certain regulations to prevent disruption of normal life and even possible violence on such occasions."